Going to college is one of the most significant experiences of your life. In fact, college is as much an experience as it is an education. Your freshman year is pivotal in determining the kind of experience you will have in college. A positive first year will greatly increase your likelihood of staying at your school and earning your degree. Not such a good year? You might find yourself looking to transfer to a new school. While transferring isn’t the end of the world, it is a headache: you have to start everything from scratch, make new friends, get to know a new place, and reestablish yourself all over again. In order to avoid the headache of a transfer, it’s important that you find a school at which you’ll be happy your freshman year. To help with that, we have ranked the top 10 schools with the happiest freshmen. the University of Virginia is located in the charming town of Charlottesville. UVA offers 56 bachelor’s degrees in 53 fields to its total undergraduate enrollment of 15,822. UVA houses one of the 25 remaining original copies of the Declaration of Independence, called a Dunlap Broadside, in its Albert and Shirley Small Special Collections Library. Only first-year students are required to live on campus, but 98 percent of them return to school for their second year. Greek life is prominent at UVA with a membership that includes approximately 30 percent of the student body. The Cavaliers, known unofficially as Wahoos or ‘Hoos, are part of the NCAA Division I Atlantic Coast Conference and are well known for their dominant men’s and women’s lacrosse teams. The Massachusetts Institute of Technology, a private research university founded in 1861, is renown for its research and education in the physical sciences and engineering and more recently in biology, economics, linguistics, and management. 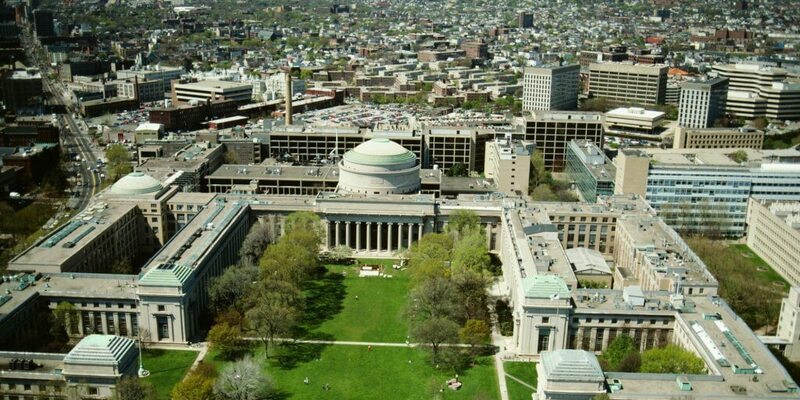 MIT is located in Cambridge, Massachusetts, across the Charles River from downtown Boston. Only freshmen students are required to live on campus, but about 70 percent of students choose to remain on campus during their four years of study, and 98 percent of freshman return for their second year. Dartmouth is a private Ivy League research university located in Hanover, New Hampshire. 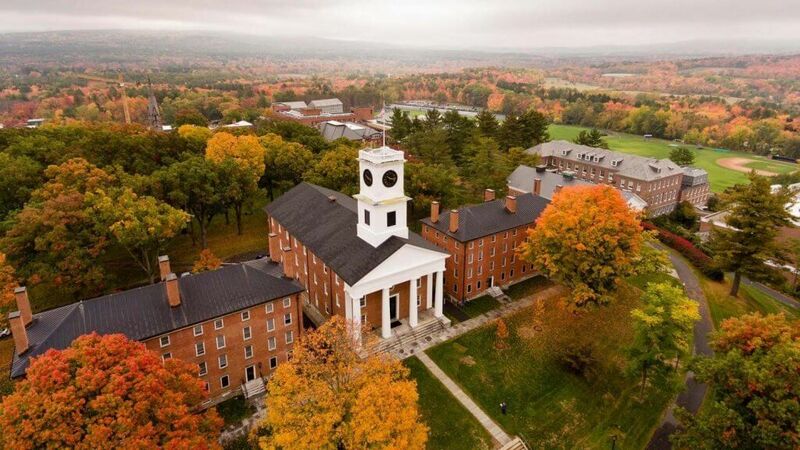 Dartmouth College ranked tenth in the 2014 edition of Best National Universities, with a student/faculty ratio of 8:1 and a freshman retention rate of 98 percent. Dartmouth’s year-round academic calendar of four 10-week terms allows students to decide when to study on campus, and when to use time away from Hanover to gain work experience, engage in service, be an intern, or study abroad. Dartmouth offers 34 intercollegiate varsity sports at the NCAA Division I level, 24 intramural sports, and approximately 36 club sports. Three-quarters of Dartmouth undergraduates participate in some form of athletics. Dartmouth’s Outing Club is the oldest and largest collegiate outing club in the country and is the most popular student organization at Dartmouth, offering outdoor activities, expeditions, gear rentals, and courses. The University of Pennsylvania is a private institution located in Philadelphia. Inspired by what Benjamin Franklin called “an inclination to serve mankind,” Penn weaves civic awareness and civic action into campus life. Approximately 13,000 University students, faculty, and staff participate in more than 300 Penn volunteer and community service programs. Penn has a 98 percent freshman retention rate. The Penn Quakers have more than 25 NCAA Division I sports that compete in the Ivy League and are noted for successful basketball and lacrosse teams. Franklin Field is the oldest collegiate football field still in use and the country’s first double-decked college stadium. Penn, though secular, has a strong religious life with its Hillel for Jewish students, Penn Newman Catholic Center, and InterVarsity Christian Fellowship. More than 2,000 students each year participate in international study programs offered in more than 70 countries around the world. 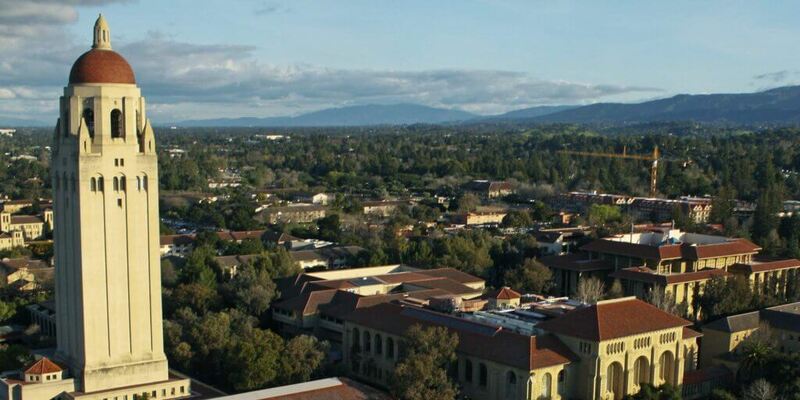 Stanford University is a private research university located between San Francisco and San Jose in the heart of California’s Silicon Valley, one of the most intellectually dynamic and culturally diverse areas of the nation. Established in 1885, Stanford now has 6,980 Undergraduates and boasts a 5:1 student to faculty ratio with a freshman retention rate of 98 percent. It is the largest contiguous campus in the U.S. with over 8,000 acres has 700 buildings. Stanford ranks fifth in the 2014 edition of Best National Universities and has been named the most selective research university in the U.S. The approximate annual revenue of companies founded by Stanford alumni is about $2.7 trillion, which includes the likes of Google, Yahoo!, Nike, Hewlett-Packard, and Sun Microsystems. graduating its first African American student, Edward Jones, in 1826, and Joseph Hardy Neesima of the Class of 1870 was the first Japanese student ever to graduate from a Western college. The Amherst Lord Jeffs participate in NCAA Division III sports and are also part of the unofficial Little Three athletic conference with Williams and Wesleyan, which has lasted more than 100 years. Amherst has taken great strides to become more sustainable, as it protects 500 acres of open land and water in its wildlife sanctuary. Princeton University is the fourth oldest college in the United States. Founded in 1746, Princeton has a total undergraduate enrollment of 5,336, a student/faculty ratio of 6:1, and a freshman retention rate of 98 percent. Princeton University is the top-ranked school in the 2014 edition of Best National Universities. Members of the Ivy League, the Princeton Tigers are well known for their consistently strong men’s and women’s lacrosse teams. One unique aspect of Princeton’s academic program is that all undergraduate students are required to write a senior thesis. One of the University’s most distinctive characteristics is its close-knit residential community. Housing is guaranteed for undergraduates, and nearly all students live on campus. The residential colleges offer students a supportive and enriching environment full of opportunities for personal growth. Soka University is a private, non-profit, liberal arts college located in south Orange County, California in the City of Aliso Viejo. Founded on the Buddhist principles of peace, human rights, and the sanctity of life, Soka is open to students of all nationalities and beliefs and is committed to diversity in its academic community. Soka offers a BA in Liberal Arts with concentrations in Environmental Studies, Humanities, International Studies, and Social and Behavioral Sciences, and has a freshman retention rate of 99 percent. In addition to residence coursework, the tuition of SUA includes a study abroad program, allowing every undergraduate student to spend a semester of their junior year living and learning in another culture. The University of Chicago is the city of Chicago’s elite institution of higher learning. Situated in Chicago’s Hyde Park community, the university offers a rich campus life in a big-city setting to its undergraduate enrollment of 5,590 students. Freshmen are required to live on campus, and more than 50 percent of students choose to remain on campus all 4 years, living in “houses” within their dorms, which serve as tight-knit communities that provide academic and social support. 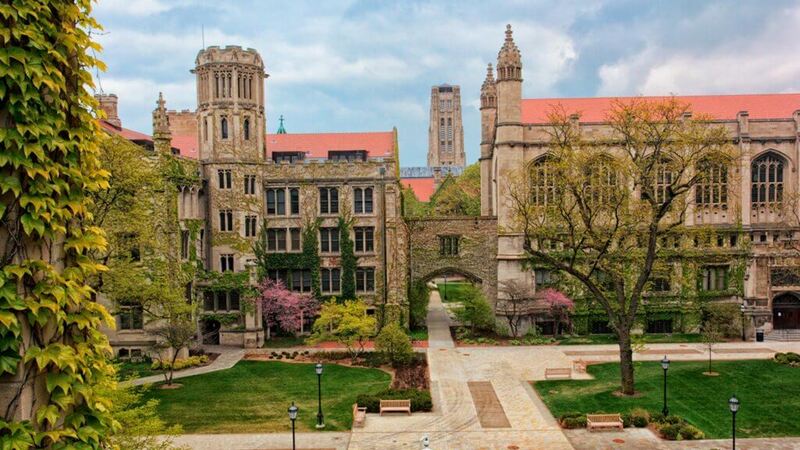 The University of Chicago also has a 6:1 Student/Faculty ratio where nearly 80 percent of classes have fewer than twenty students, allowing for intimate intellectual settings where students can thrive academically. The Chicago Innovation Exchange (CIE) is the University of Chicago’s new hub for multidisciplinary collaborations and support for business start-up activities by University faculty, students, and area entrepreneurs. Yale University is a private Ivy League research university in New Haven, Connecticut, founded in 1701. The university is the third-oldest institution of higher education in the United States. It has a total undergraduate enrollment of 5,405, a freshman retention rate of 99 percent, and a student/faculty ratio of 6:1. Yale’s distinctive residential system divides the undergraduate population into twelve separate college communities of approximately 450 members each, which enables students both the intimacy of a small college environment and the vast resources of a major research university. Yale is well known for its secret societies, the most famous of which is Skull and Bones. Yale’s buildings, towers, lawns, courtyards, walkways, gates, and arches comprise what one architecture critic calls “the most beautiful urban campus in America.